Swimming was not advised at Rock Creek Lake on August 10 due to the presence of a harmful algae bloom. The Iowa Environmental Protection Commission Monday declined to advance lake water quality standards for nitrogen and phosphorus pollution, rejecting a petition by the Iowa Environmental Council and Environmental Law and Policy Center requesting that they do so. The Commissioners also rejected an offer from the environmental groups of more time to consider the proposed rules before making a final decision. Iowans expect state government to proactively address the threats to lake water quality that exist today, Rosenberg said, adding that the Council and its partners will continue to insist that setting clean water goals for Iowa’s lakes must be a higher priority for the Iowa Department of Natural Resources. Without a minimum protective standard, some lakes will be left behind by Iowa’s pollution reduction efforts. 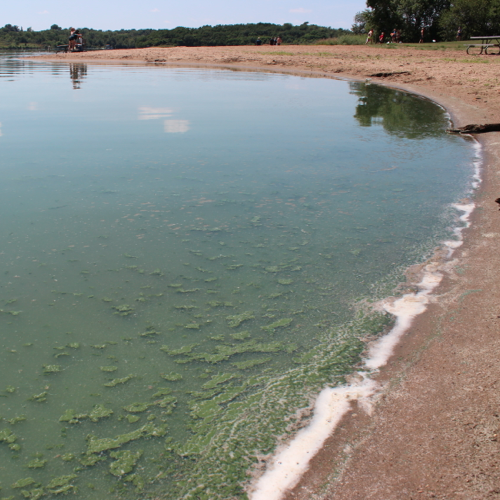 The Commission’s decision came after potentially toxic algae blooms continued to threaten recreational uses of Iowa’s lakes this summer, sending tourists and their dollars out of state in pursuit of cleaner waters elsewhere. At the same time, Iowa’s Nutrient Reduction Strategy, which seeks to address pollution reaching the Gulf of Mexico, lacks water quality goals for protecting Iowa’s lakes, a shortcoming the proposed rules would help to address. 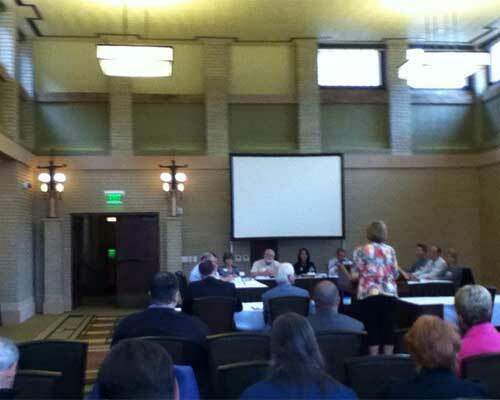 The environmental groups used the same standards a group of Iowa’s top lake researchers first developed at the Department of Natural Resources’ request in 2007. The DNR attempted to partially implement the standards in a 2011 rulemaking process that was allowed to expire quietly just before completion. The proposed water quality standards represent clear, science-based goals to prevent potentially harmful algae blooms and keep Iowa’s lakes clean and safe for swimming and recreation. The Environmental Protection Agency has called on states to set standards since 1998; other states, including Wisconsin and Minnesota, have made progress, but Iowa has not. While lake recreation supports 14,000 jobs in Iowa and generates $1.2 billion in annual spending, Iowa’s lakes have among the highest nitrogen and phosphorus pollution levels found anywhere in the world. As a result, many lakes suffer from poor water clarity and frequent algae blooms. The Iowa Department of Natural Resources monitors 39 state park beaches for toxins associated with harmful algae blooms. In 2012, the Department issued 20 advisories against swimming at state park beaches due to high concentrations of algae-related toxins that could make people sick, according to a Council review of water quality data. In 2013, the Department issued 24 such warnings. Many popular locally managed beaches are not included in DNR’s monitoring program. Additional details about the Council’s action, including a downloadable copy of the petition itself, are available online at http://iaenvironment.org/waterQuality/lakestandards.php.